Because I do so much work with enzymes and probiotics, I got to thinking about how they may apply to sports and sports medicine, from a natural product perspective. In my book, The Probiotic Solution1, I covered everything from Autism to Yeast infections, but really did not discuss sports. I suppose that will have to come in the second edition. At first, it didn't seem like a logical fit, but as I gave it more thought a nice picture arose. 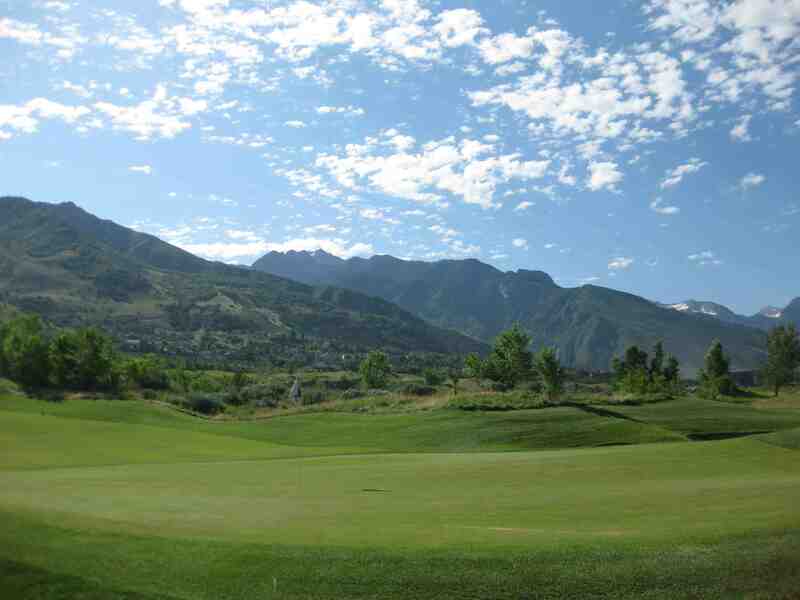 I would like to talk about BOTH enzymes and probiotics and how they can relate to sports. Let's start with the enzymes. It is well documented that strong proteases such as bromelain can have a wonderful impact on inflammation (by decreasing it). The wonderful thing about enzymes is they are multitalented, if I may speak anthropomorphically, in that they can also break down inflammatory mediators. I know that bromelain and curcumin have traditionally been used for this in the naturopathic field. I believe these still are wonderfully synergistic compounds. It could be argued that some of the naturally inherent enzymes present in probiotics could also help with this, However, it might be a bit of a stretch, since one needs such a high degree of enzyme activity to actually produce the anti-inflammatory effects. It makes much more sense to take large oral doses with food. The digestion process begins almost immediately if water is present and the food itself provides a physical barrier for the enzymes (and probiotics) as they traverse the harsh gastric environment. Another fantastic function of bromelain is the debridement of wounds.2 Some of us engage in sports where we often suffer breaks to the skin (I personally am into martial arts to this happens all the time). Adding a little bromelain to the scab helps clear it away without picking it and reopening the wound and potentially creating a scare. I am sure my wife will attest to the fact that I am constantly being gashed with various weapons we use in the dojang (Korean term for martial arts studio) and as the scab forms, bromelain is a very nice way of treating the healing wound so a minimal scare forms. As for probiotics, many of us engage in sports activities not just for the enjoyment, but also as a form of exercise to assist with weight management. In my recent book on probiotics, I explain that probiotics are actually a wonderful adjuvant to any weight control program. Please allow me to explain. When we ingest food, there are a set number of calories in that food. Those calories are assumed to be used by the body, for its various processes, and when present in excess, as they often are, they are used to make fat. However, that we now know that is not totally true. There are other factors at work in the body than just the nutrients being absorbed through the intestines. Probiotics can play a large role in the big picture and we can use that information advantageously. In fact, there are more microorganisms living in the human gastrointestinal tract (GI) than there are cells of the human body. That may not mean a lot at first, but if you stop and think about it, it will be come clear that if we take large numbers of probiotics with each meal, much of that food is going to be digested by the probiotics and not by us. Simply put, by adding in probiotics, we reduce the calories we expose our bodies too. When I say large numbers of probiotics, I mean well over 20-30 billion and there are a few supplements now that contain such numbers. In fact, I can almost guarantee you that in the next five years, there will be many more supplements with 20-100 billion live probiotic cells in a capsule, or sachet, or whatever the delivery system is. Off-hand, I know at least three companies that are doing this. Is it safe, well, when one consumes homemade yogurt, believe it or not, the actual count of probiotics in the yogurt can be in the hundreds of billions per ml. I have seen several studies of people taking hundreds of billions without adverse reactions. Also, when ingesting that many probiotics, they act as a natural laxative and assist the body's peristalsis. This has the effect of decreasing the time the GI is exposed to the nutrients in the food and therefore the time it has to absorb the calories. The more probiotics one takes, the less food is actually available for the body to make fat. The 'secret' is that one needs large numbers and typically, for cost reasons, many manufacturers don't want to sell these. However, this is changing as prices drop. There is also more to the detoxification issue. People who exercise may be trying to lose weight and/or detoxify their bodies, and probiotics can be supportive of both these processes. We know that in women especially, excess estrogen (i.e. that manufactured both by the body and also ingested through hormone-tainted foods -- meat and dairy especially) is stored in the fat tissue if the body cannot properly excrete it. (I'm not sure if this is true, but I'd guess that men's adipose tissue would also have excess stores of estrogen if high quantities were consumed through the diet.) I was discussing this issue with a naturopathic physician, Dr. Stephanie Hoener who had a rather valuable insight I would like to share. When a woman begins a new exercise regimen and begins to burn off the fat, the estrogen is liberated and re-enters circulation. As a result, more estrogen must be processed by the liver and eliminated via bile through the digestive tract. We also know that if there is an imbalanced intestinal flora in the colon, especially yeast, these "bugs" can become pathogenic by causing the estrogen molecules to detach themselves from the bile and be reabsorbed into the circulation, potentially causing further harm in the process (e.g., excess estrogen is implicated in disorders such as breast cancer, uterine fibroids, etc.). If, however, we have adequate probiotics in the intestinal tract, this will prevent the abnormal overgrowth of some of these "bad bugs" so that the estrogen/bile compounds can be properly eliminated via the feces. We can extend this to hypothesize that *any* lipophilic environmental toxin (which is most of them, since most are lipophilic) can be liberated into circulation when people burn fat during exercise, and therefore we need to encourage proper elimination pathways by ensuring adequate colon flora, and by stimulating digestive enzymes for bile production so that the bile can bind onto these toxin-containing fats and eliminate them through the stool. Another aspect of exercise is that when a person sweats, as we all know, if the skin pores are clogged, acne can result. Acne is basically a localized infection. There is at least one product on the market I am aware of that addresses this issue with probiotics. We know probiotic produce natural antibiotics. For example acidophilus produces acidophilin5,6 and so on. Natren addresses this issue by creating a skin lotion out of probiotics. As a disclaimer, they do not pay me in any way shape or form; I just think it is a cleaver product. It is called Natasha's Probiotic Face Cream. It contains a 'lactobacilli extract' that I assume contains the antimicrobial activity of the probiotics. To quote a favorite Harry Potter film of mine, "that was bloody brilliant!" I'm not even sure if this product is still for sale, as I picked it up while talking to them at a trade show several years ago. It has been on my 'probiotic shelf' since. I like to show it so I don't use it, per se, but I rather make my own rendition for personal use and it works just fine. Yes, even in my 30s I still get acne from time to time, as most of us do. Another comment on the use of probiotics and sports, is that for those who are in sports to build lean healthy muscle, guess what? The meat industry has known for years that feeding animals probiotics increases the amount lean mean and decreases the fat associated with animal. In fact, many companies are moving away from antibiotic use and using more probiotics in their place as a natural antibiotic. Typically, broiler chickens,8 for example, are sprayed with probiotics, as they prune themselves they ingest the probiotics and this affords protection against things such as Salmonella. We don't sell hundreds of kilograms (kgs), to the meat processors, we sell thousands of kgs. That is how big a deal it is for them. We all know that heavy exercise taxes our immune system so why not help it out. Synergistically taking probiotics with anti-inflammatory enzymes, such as bromelain, seems a very prudent step and I try to recommend it whenever possible. If you are a body builder, you should pay special attention to the probiotics you consume, especially if you are on a high protein diet as they can assist with both digestion and bowel movements. Granted, we are not feed-animals, but we are still similar enough for the same rules to apply. The same applies for other feed animals. A probiotic regimen should be included in any serious body-building program as it has been demonstrated to build healthy lean muscle. I'm always a little amazed that people in general don't know that but I guess my only reason for knowing it is we supply the meat processors and I interact with their R&D people all the time. As a note of caution, the feed-animals are fed some strains of probiotics that we do not recommend for humans because the carry antibiotic resistance genes. I'm always saddened when I see some of those strains appearing on product labels for products marketed to humans because I know those people will probably become antibiotic resistant, at least to some degree. Remember, in the 'olden days' people used to die at 40 or 50. That was common and we now know there are some very good reasons for it. Our average life span is now over 76 years, let's do our part to help keep it high and get it even higher. When you think of probiotics, think about immune support and digestion. Probiotics are just beneficial bacteria that contribute to the overall health of an organism, in this case, us. Another way of thinking about them is as little bags of enzymes. The number and variety of enzymes they contain is staggering and would be impossible to replicate in an enzyme supplement. While I often discuss enzymes, I prefer to use high doses of probiotics. They live on and keep working and multiply, enzymes eventually 'peter out' and you need to constantly take the enzymes. If you are taking large doses of probiotics and you miss a meal or two, it is really no big deal as the body still has plenty in the intestines to protect you. However, if you are traveling, don't miss a dose and make sure you take them before you leave for a competition as the re-circulated air in the airplanes are taxed to filter out all the bad bugs. How many of us have gotten sick after flying? I bet a lot. Similarly, one doesn't want to get sick before or after a competition that is draining to the body and probiotics assist with maintaining a healthy immune system.10 Establishing a good solid probiotic regimen should be a part of any training schedule. It should be as common as consuming water. If possible, taking probiotics and enzymes before, during, and after exercise is important. The same holds true for enzymes, especially if you are taking them for their anti-inflammatory properties. In other papers I have explained how enzymes can and are absorbed and r-circulated via an entero-pancreatic circulation. 11,12 It is important to get them into the circulation so they can act right away at sites of inflammation. I will come back to inflammation in another papers but we are learning it is at the root of many degenerative diseases so one wants to do as much as possible to avoid any unnecessary inflammation. Of course, some has a role, but keeping the participants localized is the key and the circulating enzymes can assist with that. 1. Brudnak, Mark A. 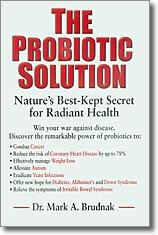 The Probiotic Solution, Dragon Door Publications. Minneapolis MN. 2. Maurer HR.Cell Mol Life Sci 2001 Aug;58(9):1234-45 Bromelain: biochemistry, pharmacology and medical use. 3. Brudnak, MA. Probiotics as an adjuvant to detoxification protocols. Med Hypotheses. 2002 May;58(5):382-5. Review. 4, Day AS, Abbott GD. D-lactic acidosis in short bowel syndrome. N Z Med J 1999 Jul 23;112(1092):277-8. 5. Zamfir M, Callewaert R, Cornea PC, De Vuyst L. Production kinetics of acidophilin 801, a bacteriocin produced by Lactobacillus acidophilus IBB 801. FEMS Microbiol Lett. 2000 Sep 15;190(2):305-8. 6. Zamfir M, Callewaert R, Cornea PC, Savu L, Vatafu I, De Vuyst L.
Abstract Purification and characterization of a bacteriocin produced by Lactobacillus acidophilus IBB 801. J Appl Microbiol. 1999 Dec;87(6):923-31. 8. Zulkifli I, Abdulllah N, Azrin NM, Ho YW. Growth performance and immune response of two commercial broiler strains fed diets containing Lactobacillus cultures and oxytetracycline under heat stress conditions. Br Poult Sci 2000 Dec;41(5):593- 7. 9. Korschunov VM, Smeyanov VV, Efimov BA, Tarabrina NP, Ivanov AA, Baranov AE. Therapeutic use of an antibiotic-resistant Bifidobacterium preparation in men exposed to high-dose gamma-irradiation. J Med Microbiol. 1996 Jan;44(1):70-4. 10. Macfarlane GT, Cummings JH. Probiotics, infection and immunity. Curr Opin Infect Dis. 2002 Oct;15(5):501-6. 11. Mark Brudnak 2000 Enzyme Therapy - Part II Townsend Letter for Doctors & Patients. December 9:88-92. 12. Mark Brudnak 2001 Enzyme Therapy - Part II Townsend Letter for Doctors & Patients. January.